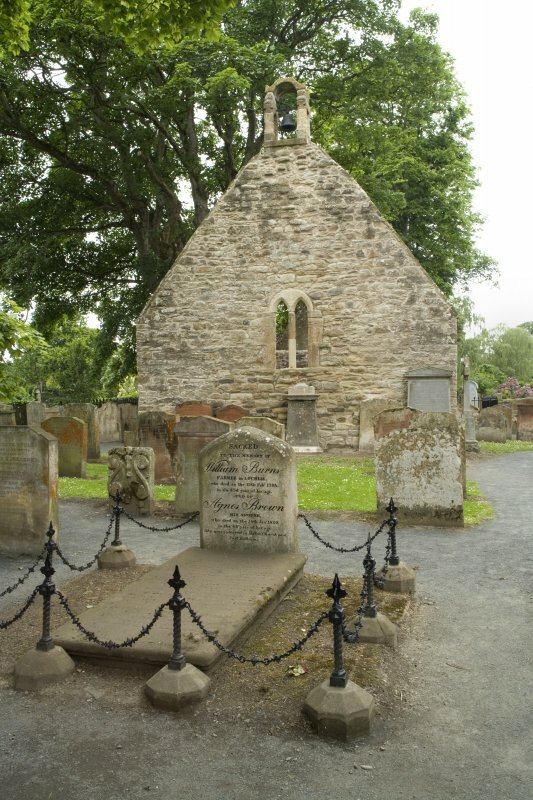 View of monument to Lt Gen John Hughs of Mount Chamber. 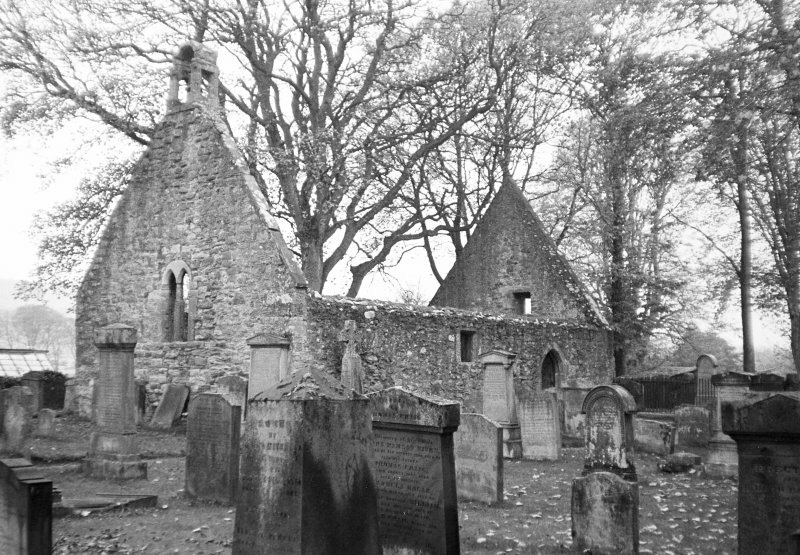 Page 3/1 View of Alloway Kirk. 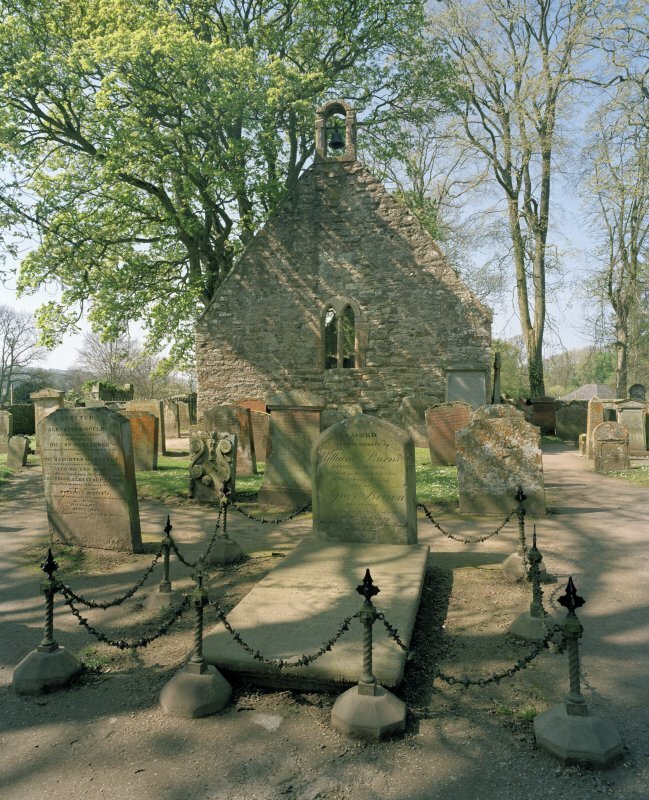 Titled 'Alloway Kirk.' PHOTOGRAPH ALBUM 146: THE ANNAN ALBUM Page 3/1. 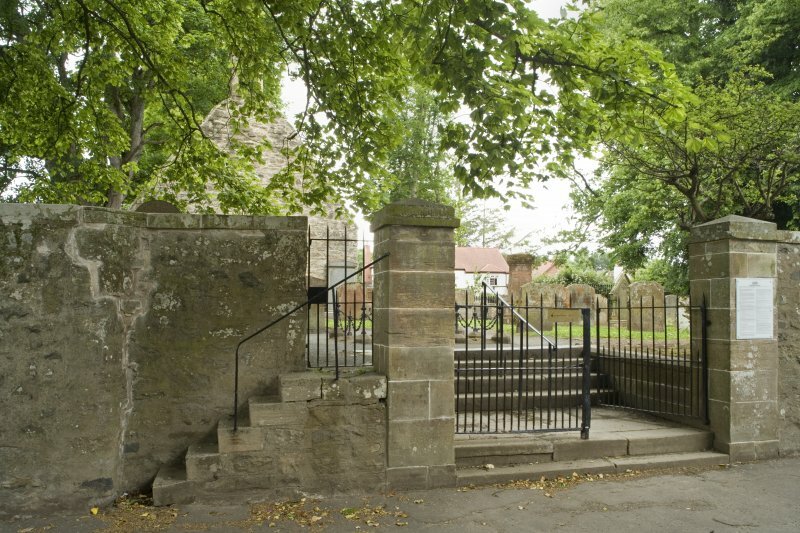 General view of kirk and entrance from ESE. 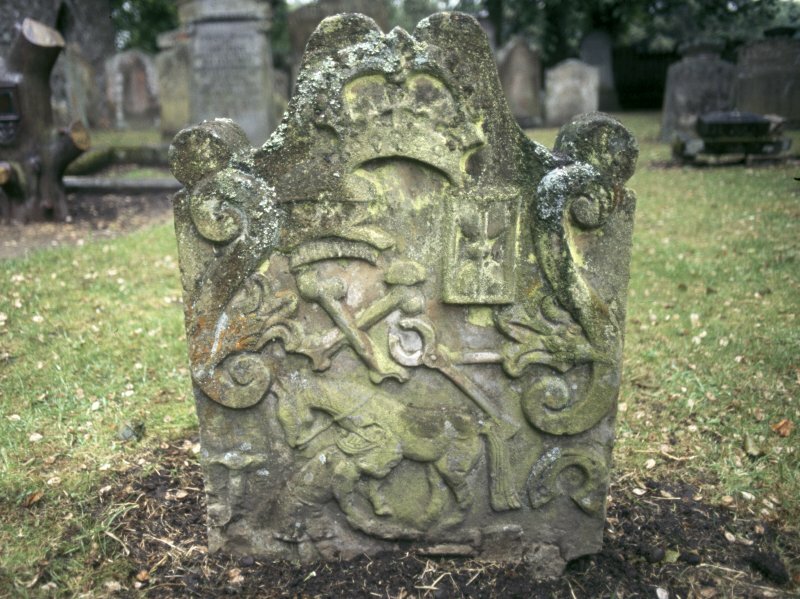 View of headstone to John Tennant d. 1728 with horse and blacksmith tools, Alloway Auld Kirk Churchyard. 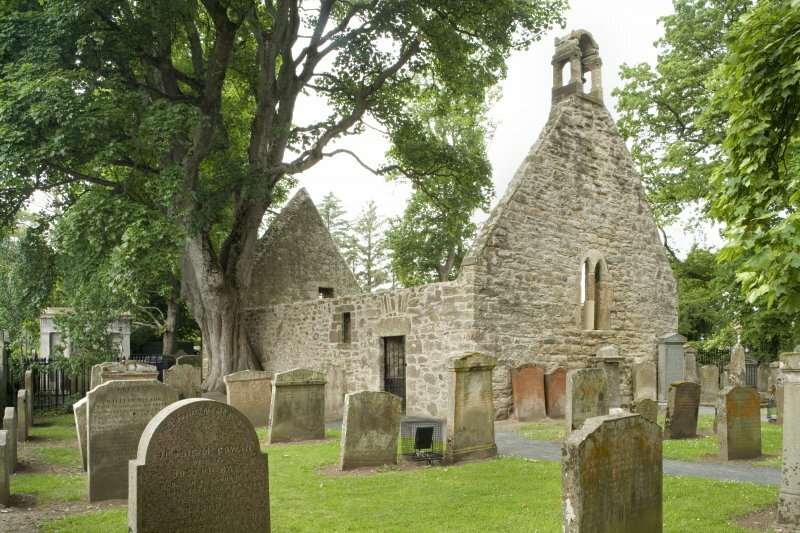 Alloway Kirk, dedicated to St Mungo (H Scott 1920), is a simple gabled rectangle, 40ft by 20ft internally, said (J Paterson 1847) to have been built in 1653. 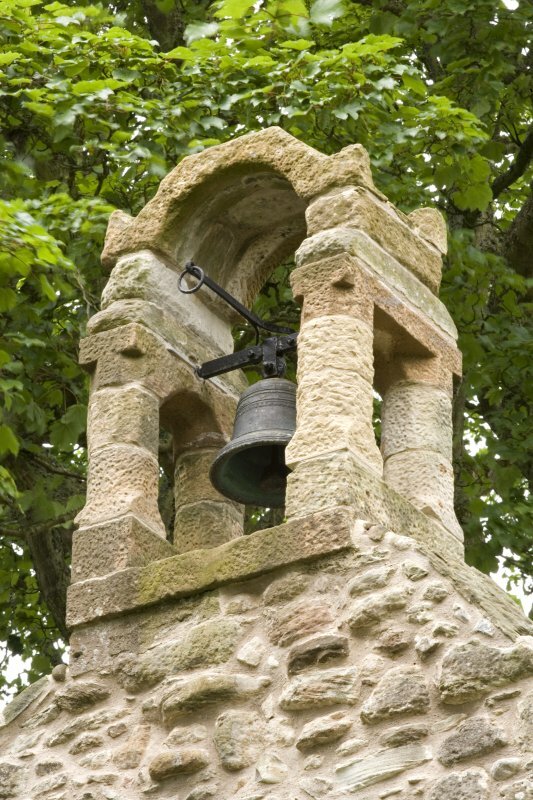 Though its belfry, a typical 17th century example, contains a bell dated 1657, the building clearly incorporates many features and fragments of medieval date (G Hay 1957). 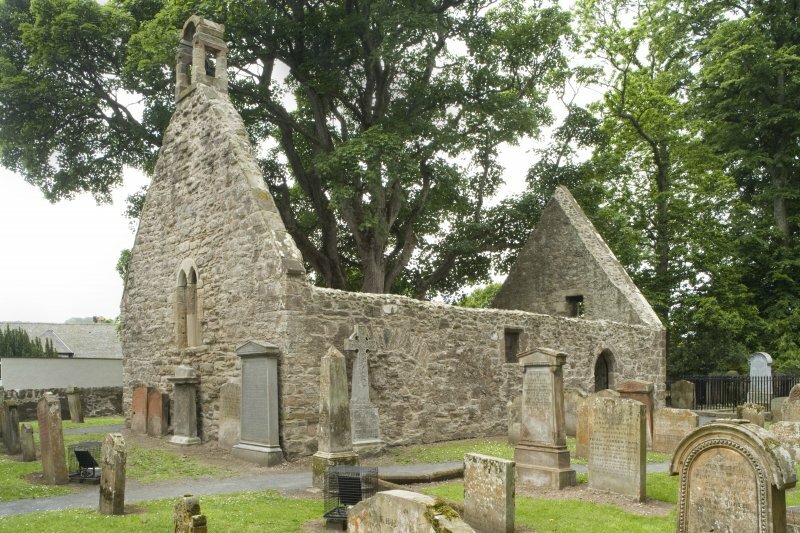 Alloway is mentioned in 1236; in 1690 the parish was annexed to that of Ayr and the church was allowed to become ruinous. (See also NS31NW). D MacGibbon and T Ross 1897. 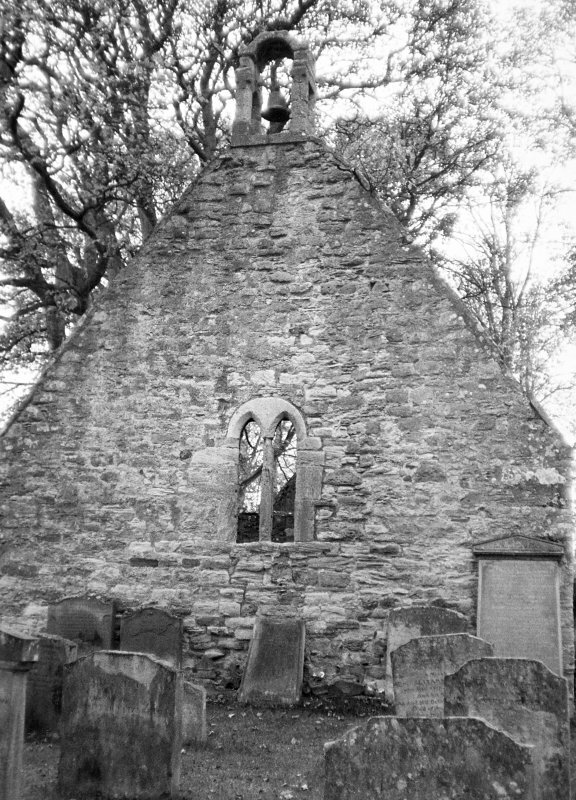 'Alloway Kirk', now roofless and ruinous, is generally as described. 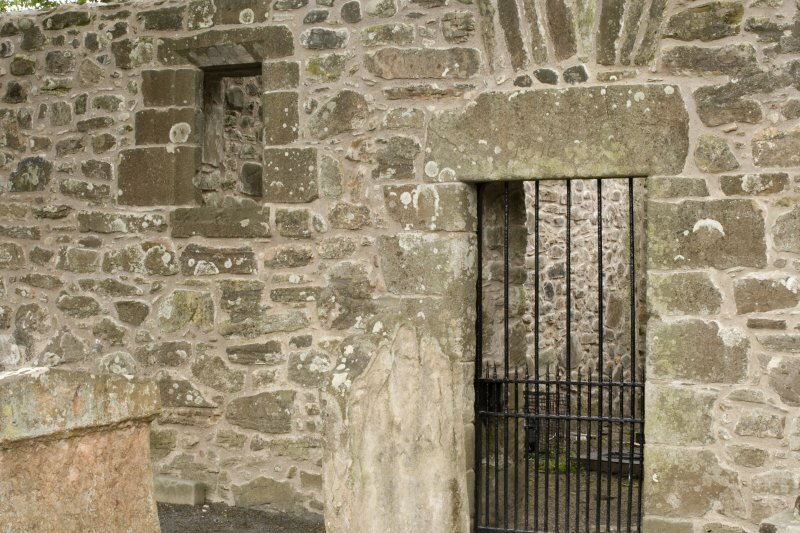 There are blocked-up arched doorways in the N and W walls. 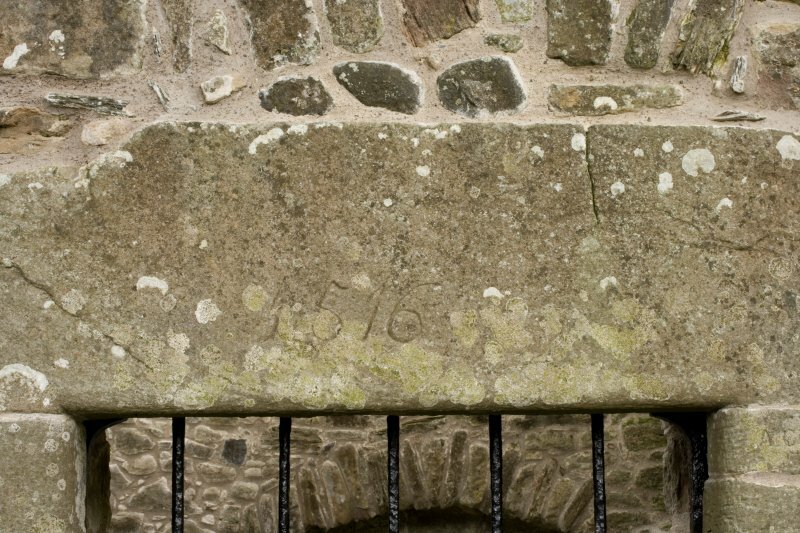 The date '1516' is inscribed over the doorway in the S wall. 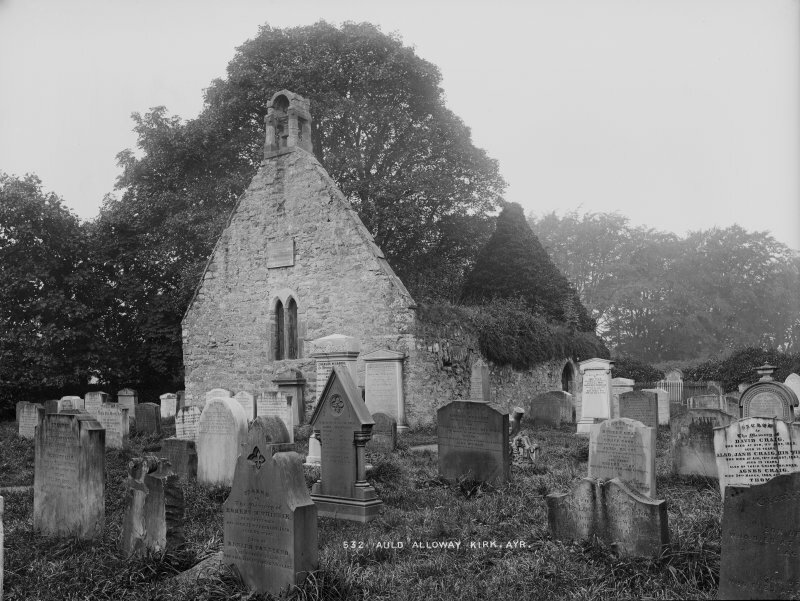 (Chalmers (1892) states that the church was built in 1516.) 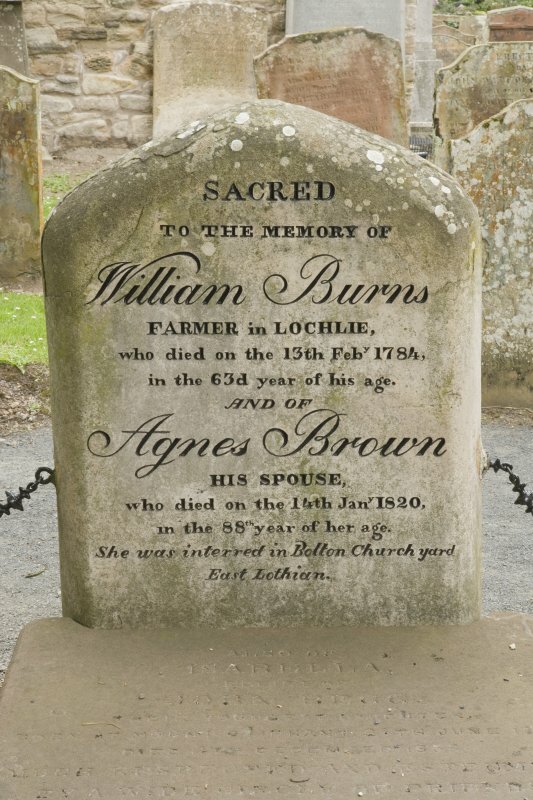 The remains are in good condition. No change. 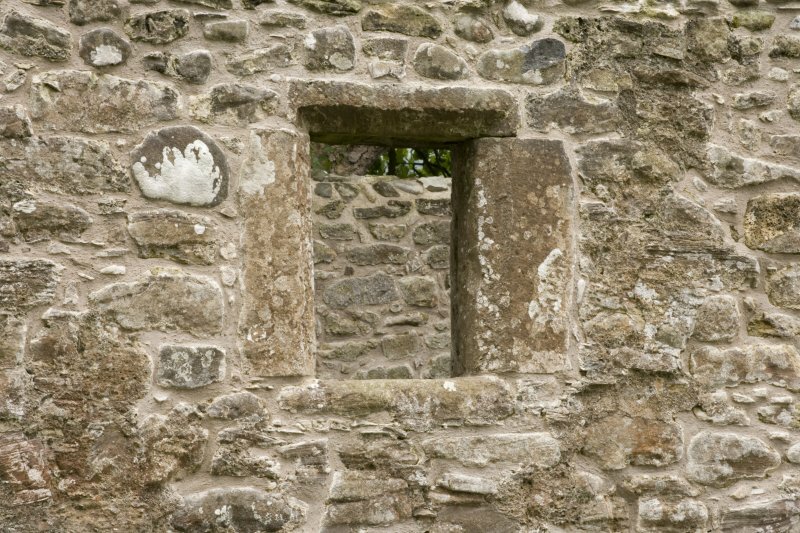 As stated by Hay, some architectural details, particularly the twin-pointed window in the E wall, suggest a pre-16th / 17th century date. 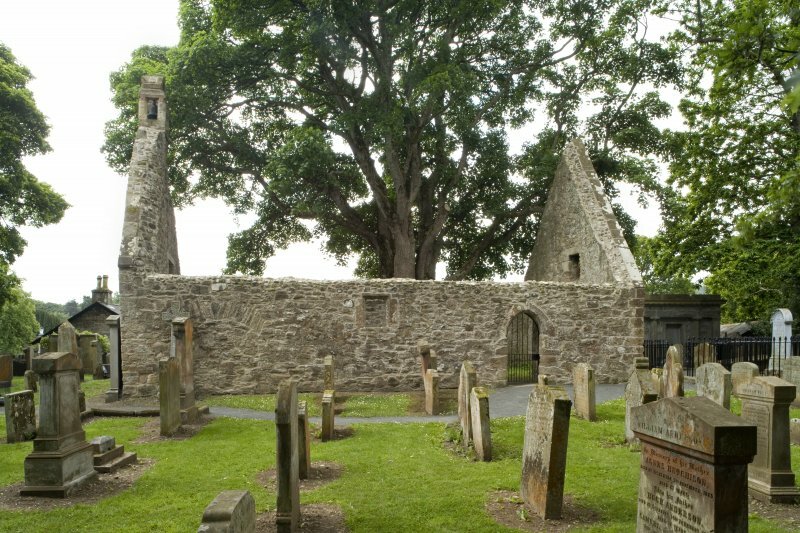 The roofless ruin of this medieval parish church stands on the S side of its walled burial-ground. 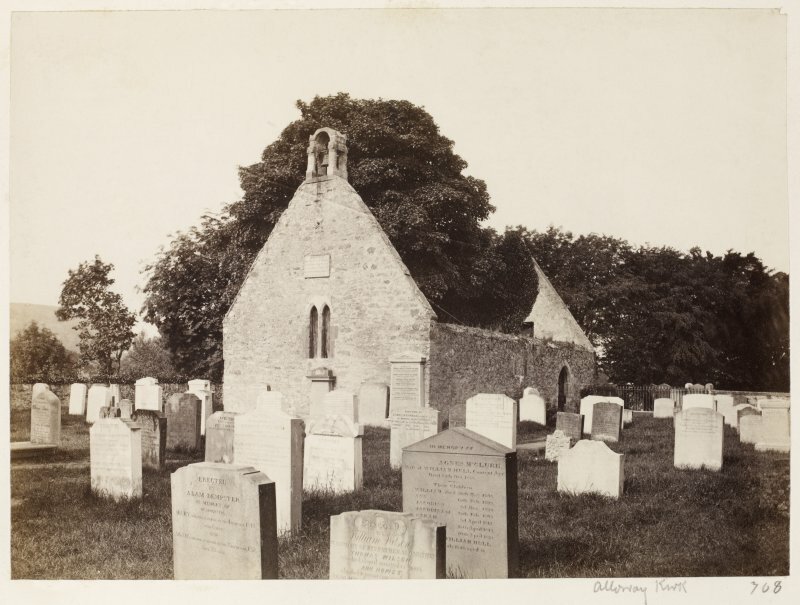 It is gable-ended and rectangular on plan (13.95m by 7.7m within walls 0.9m thick); the structure has been modified on a number of occasions and a small aisle appears to have formerly projected from the E end of the N wall. 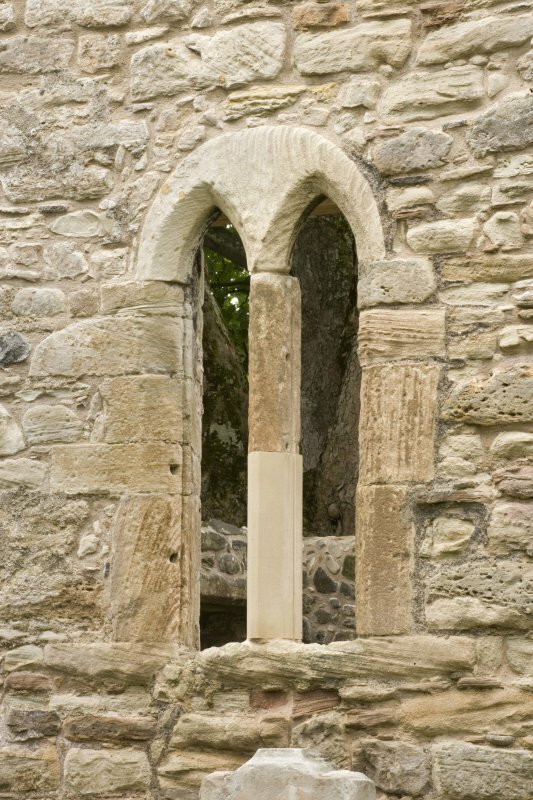 The E gable (supporting a 17th-century belfry) is largely original and incorporates a double lancet window of 13th-century character, of which the head appears to be restored. 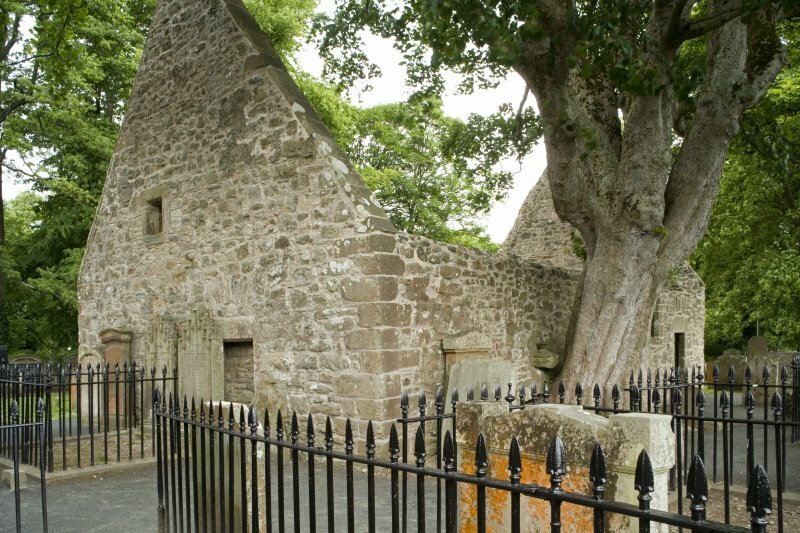 The E portion of the interior has been divided from the remainder to form a mortuary enclosure; it is entered through a doorway in the S wall, and the lintel bears the incised date 1516, but in its present form the inscription is unlikely to be earlier in date that the 18th century. 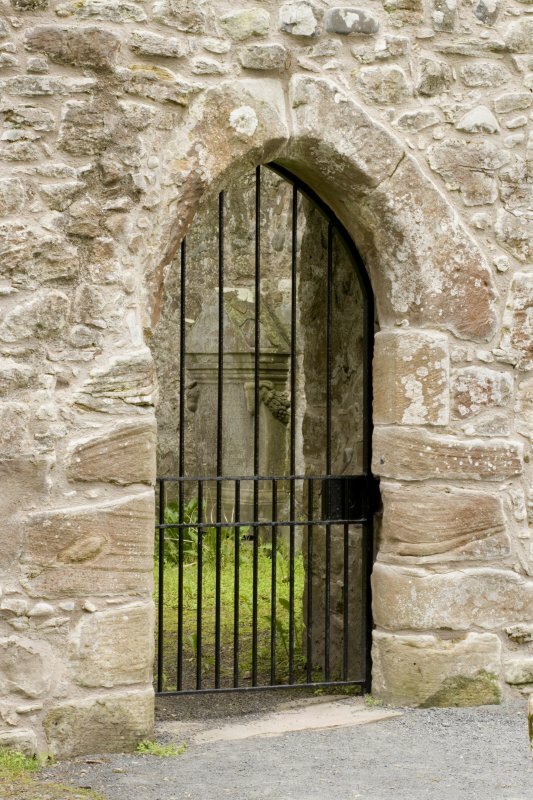 An arch-pointed doorway at the W end of the N wall is probably of medieval date; a medieval graveslab is in use as a lintel for a window in the S wall. 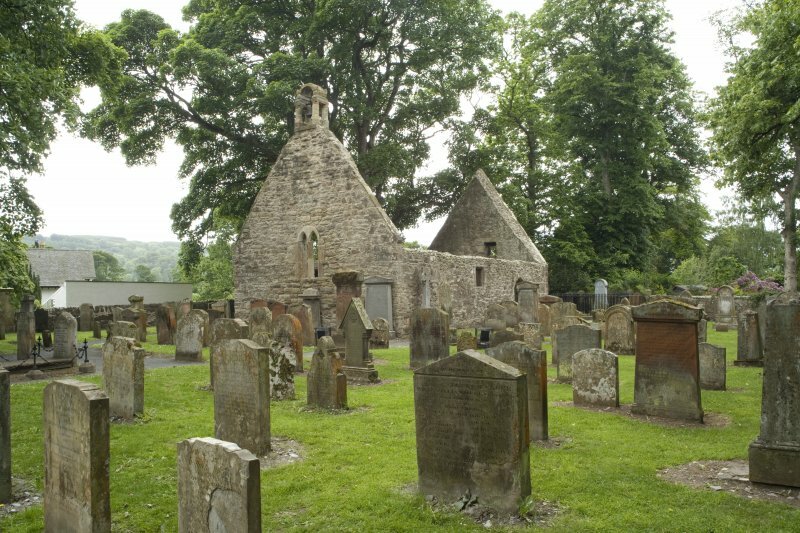 A number of 18th-century gravestones are situated on the NE side of the church. 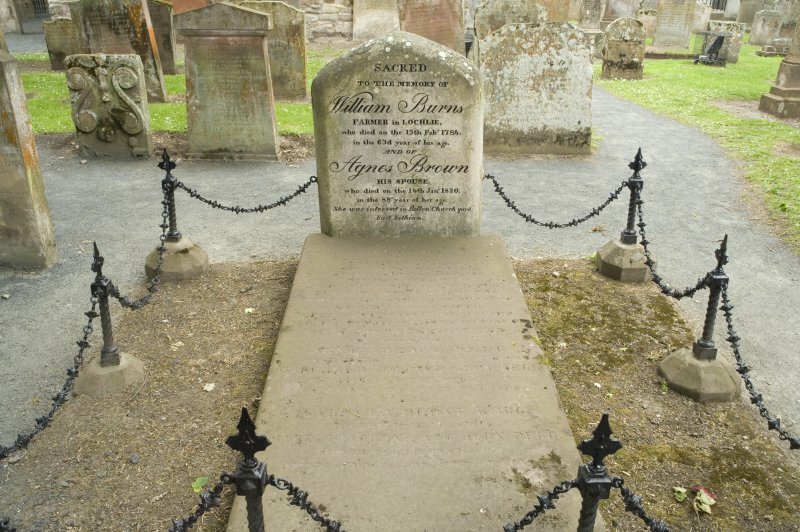 (For an Early Medieval cross-slab, possibly originally situated in the burial-ground, see NS31NW 5. 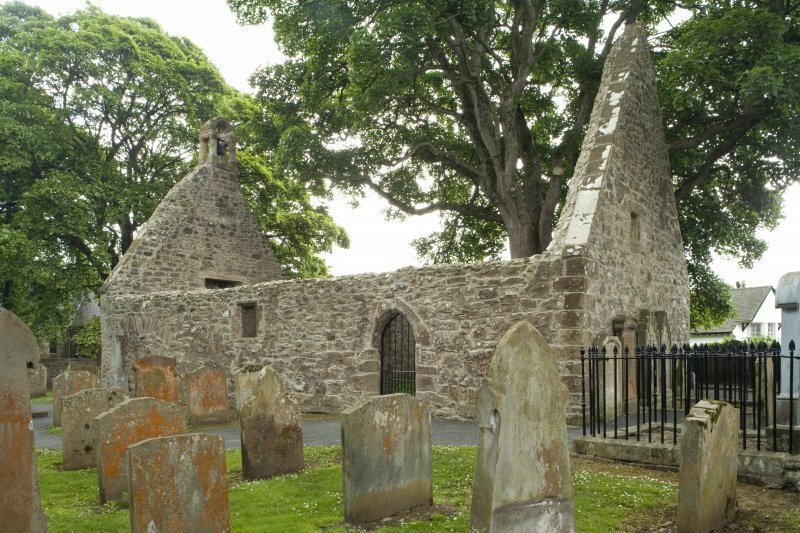 The church, d dicated to St Mungo, appears to have been a pendicle of Ayr but about 1501 it became a prebend of the Chapel Royal of Stirling. 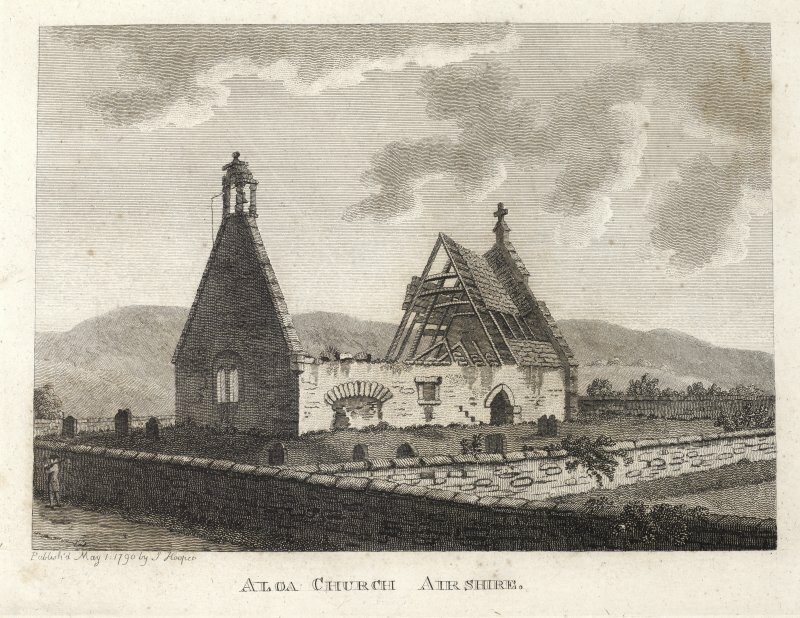 In 1690 the parish was united with Ayr, but in 1860 it was re-erected as a separate parish. 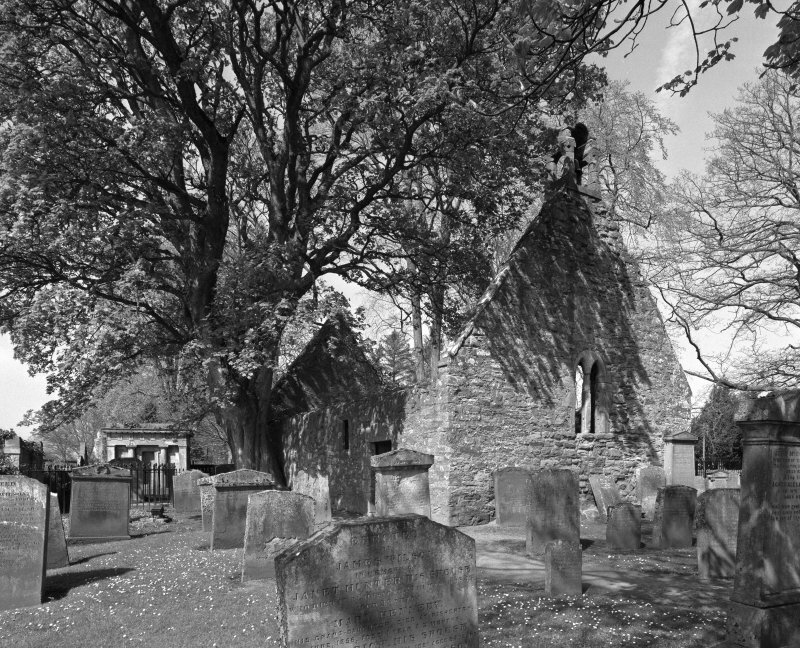 NS 3319 1805 The survey and assessment were carried out between September and November 2006 in advance of conservation work on the church to enhance an existing desk-top study and to assess the evidence for the past use of the building, its archaeological significance and the potential impact of any alterations. 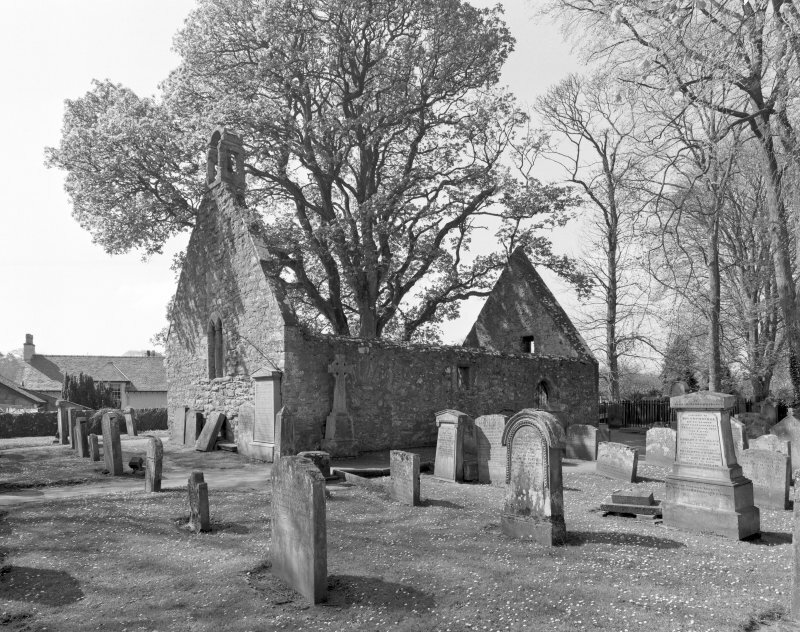 The chief aim of the study was to assist in the preparation of a Conservation Plan and attempt to trace the development of additions and alterations to the building. 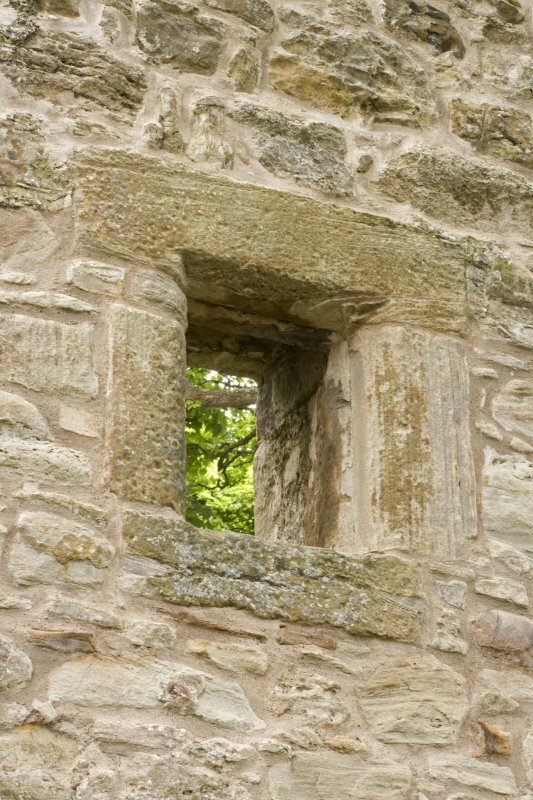 A level 3-4 building survey has been partly carried out and will be completed when building works permit. Archive to be deposited with NMRS. 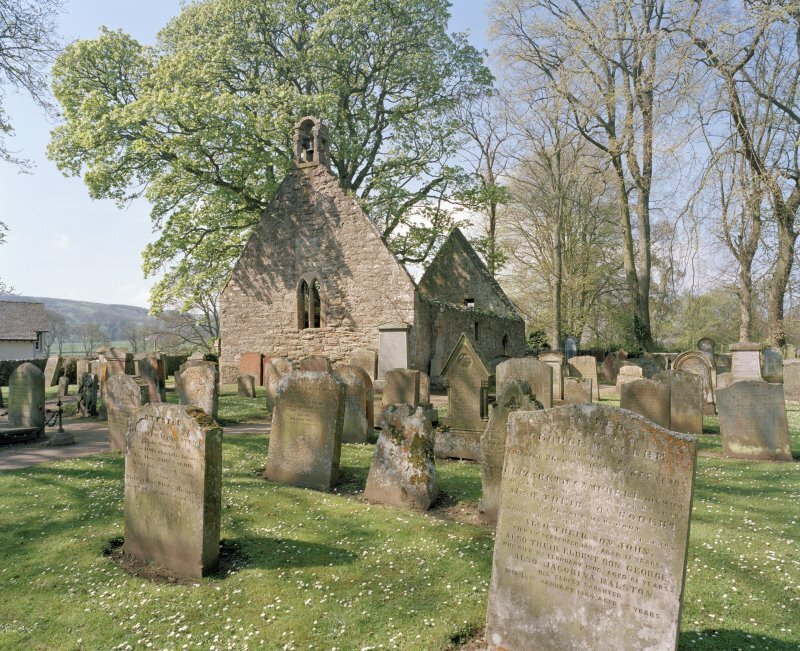 Final reports to be sent to NMRS and WoSAS SMR. C Francoz and J Arthur, 2006. 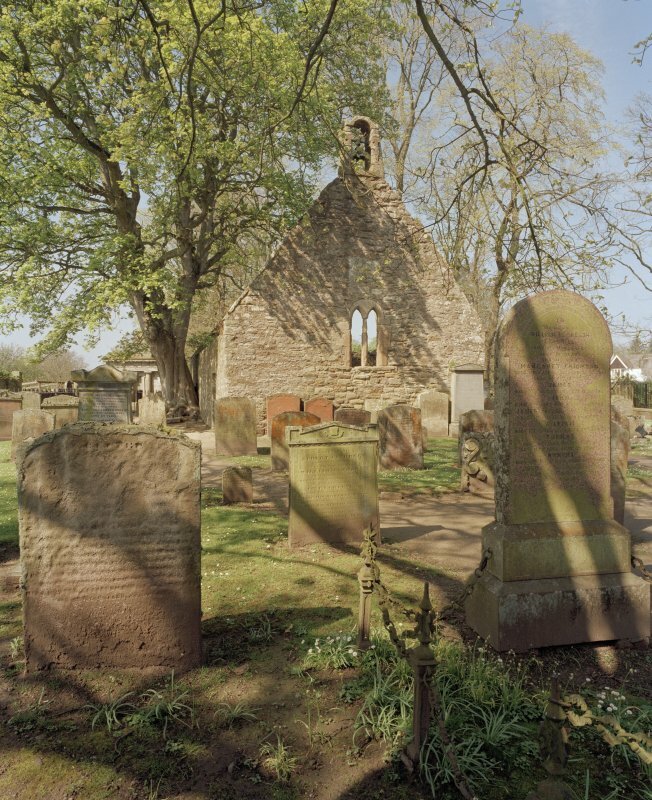 From August to October 2007, GUARD carried out a monitoring of restoration and conservation works at Alloway Auld Kirk and Kirkyard, South Ayrshire on behalf of ARP Lorimer and Associates. 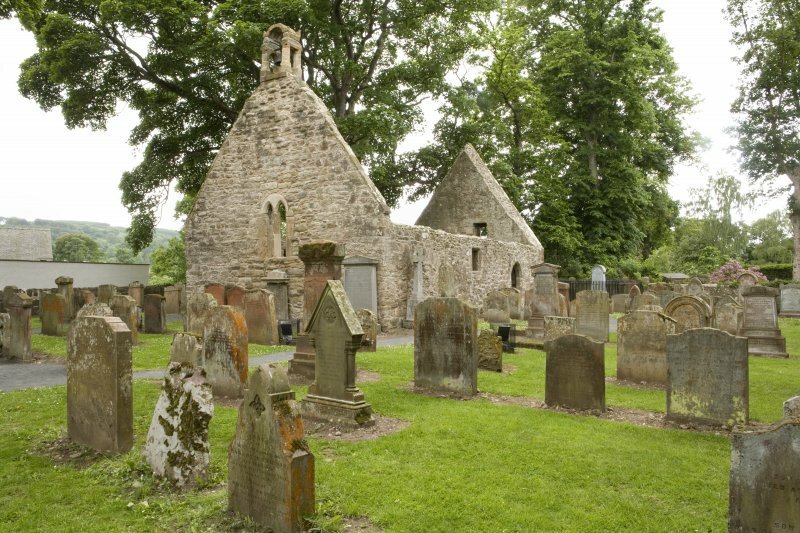 During the removal of the existing public footpath around Alloway Auld Kirk, large quantities of human remains and two previously unmarked graves were uncovered. 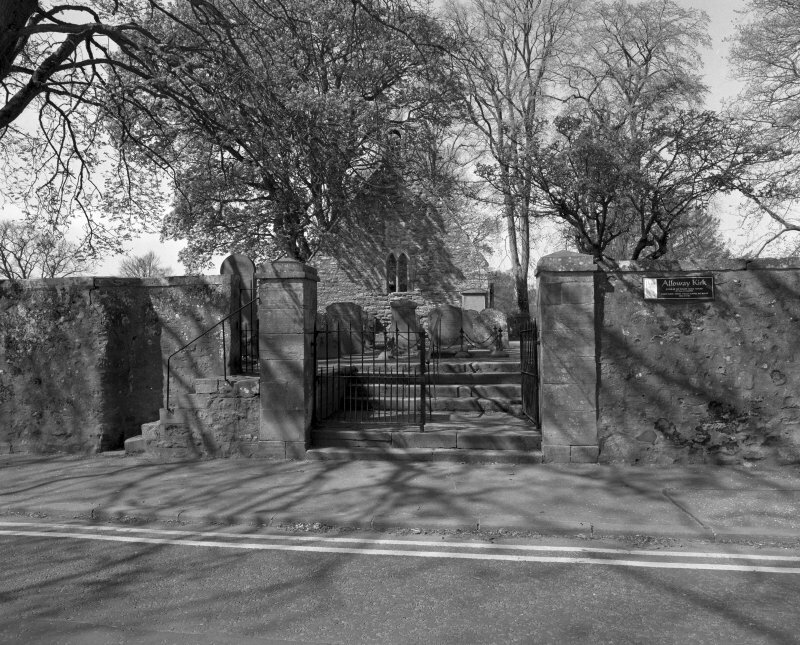 These remains were disarticulated and had clearly been disturbed at an earlier date, probably during work to create the existing footpath. 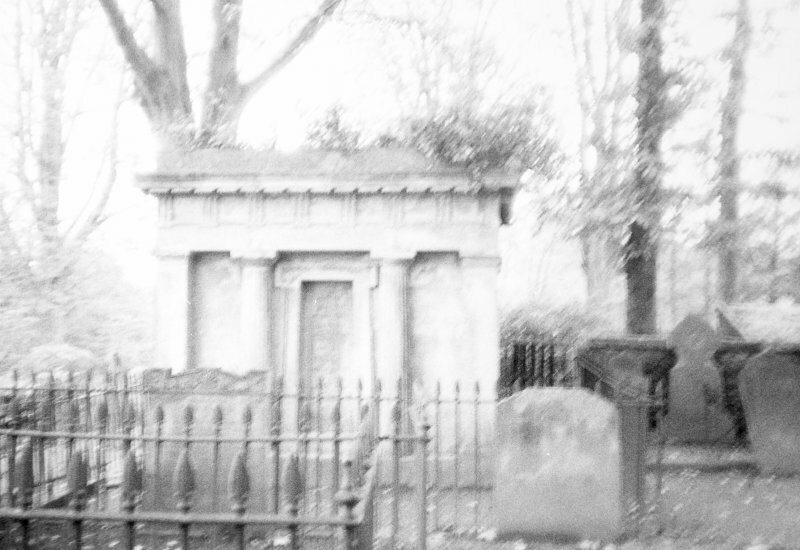 The human remains have been re-interred in an appropriate manner. 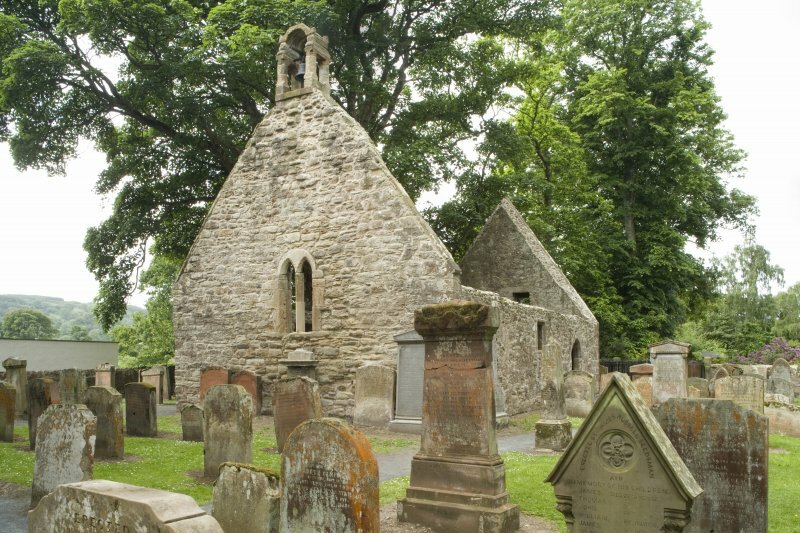 Archaeological monitoring was carried out on behalf of the National Trust for Scotland with respect to the installation of lighting at Alloway Kirk, South Ayrshire (NGR NS 3319 1805) from 18th June to 28th June 2012, and then again on the 23rd and 24th of July 2012 . 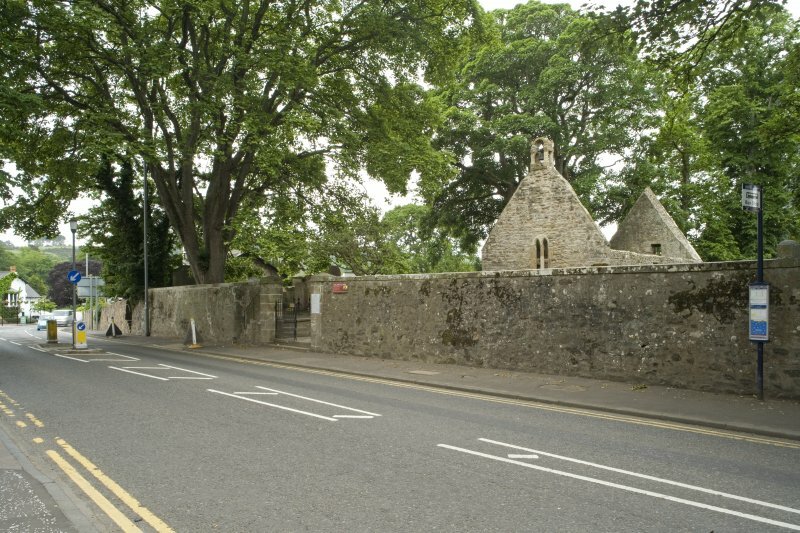 The archaeological works were designed to monitor the hand dug excavation of trenches for the installation of cables and light fittings associated with a new lighting system. 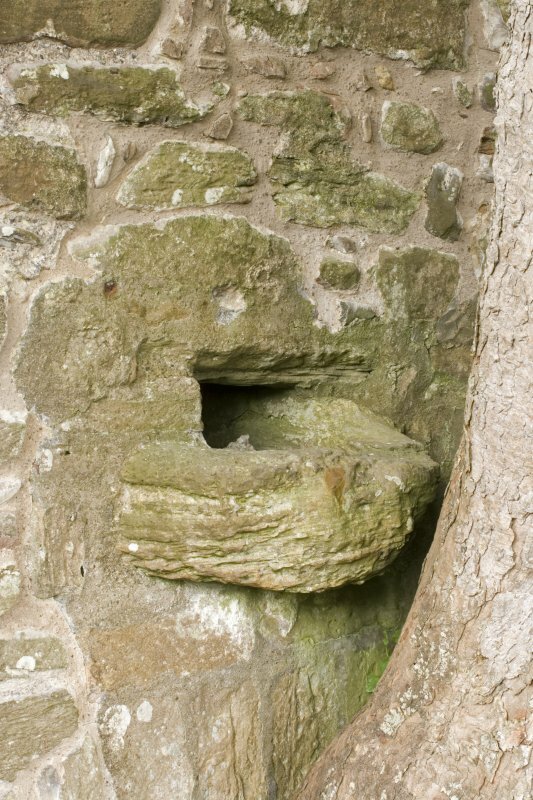 No new significant archaeological remains were discovered during the course of these works.